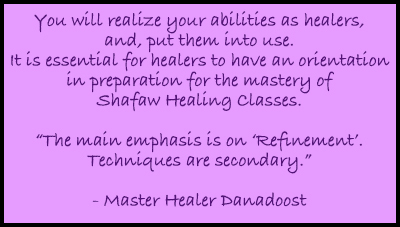 Fundamentals of Shafaw Healing Training Program. You’ll be oriented to ‘Shafaw’ language/terminology. 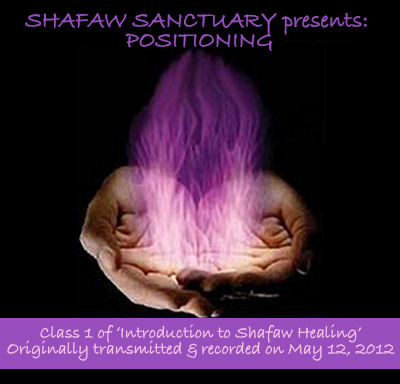 The Introduction to Shafaw Healing is designed to Allow YOU to Continue for Shafaw Teachings. So far, only Shafaw ‘Healees’ have been able to enroll. ‘Healees’ are people who have sought Shafaw Healing and have had Private Sessions. Recommendations and practices given to regain your ability to see ‘Auras’. Practices for building up and transmitting Shafaw Healing Energy. Meditating the ‘Shafaw’ way – Physical Anatomy & the Anatomy of the Mind. Introduction to Shafaw ‘Haerkkot’ Healing & Meditative Movements. Shafaw Chakra System that is different than the mainstream chakra system. ‘Major’, ‘Minor’ and ‘Minor-Minor’ Chakras and ‘Auxiliary’ Chakras are addressed. How to Protect Yourself and Your Healees. “Healers Die Young,” says Dr. Norman Shealy. The reason is that healers do not take care of themselves.